Advantages: Complete nature of the product, first class instructions and availability. Not a duplication of an already available subject. 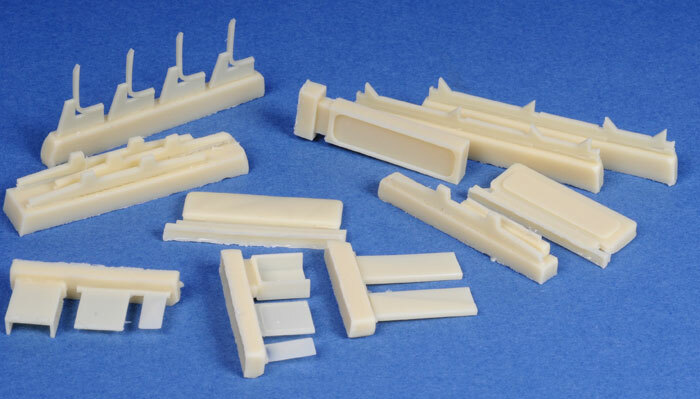 CMK has added another update to their 1/48 scale AFV range. 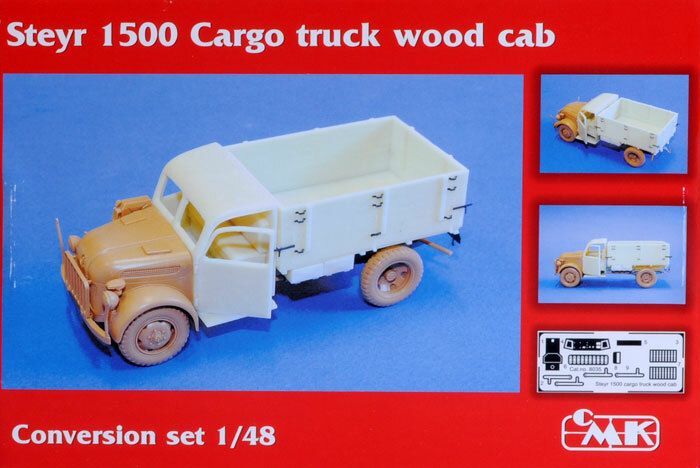 This latest release joins a number of conversions they make for Tamiya 1/48 scale Steyr. 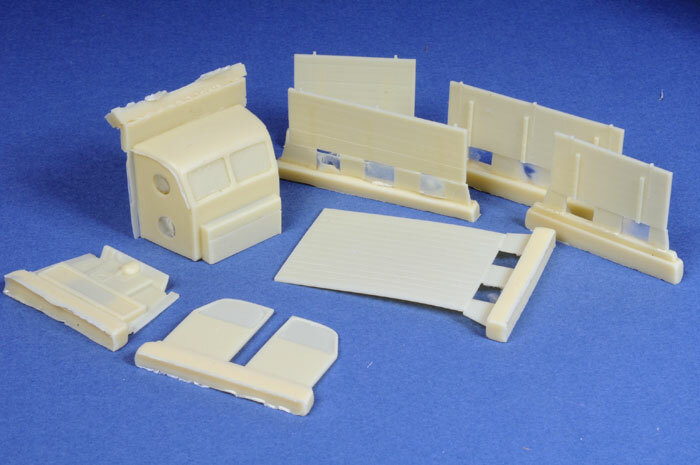 This set converts either version of Tamiyas 1/48 scale Steyer kits and covers 24 cleanly cast resin pieces with a small photo-etch fret,together with a well marked acetate sheet. The well illustrated instruction sheet covers 13 construction sequences. Care will be needed when removing the resin casting blocks from some parts (such as the large cab casting). Some minor trimming will be needed to preserve the door recess where the excess resin meets the top of the cab but generally the casting is very well done. The wooden tray (or cargo area) consists of 11 pieces, but strangely, has no “wood grain” effect on the boards themselves. Reference for this vehicle can be hard to come by as most wartime photo records generally cover the “hero” type vehicles like tanks. The best reference source that I was able to come up with, was the Wings & Wheels Publication on this vehicle and Panzerwrecks 4 (page 58).The box top and instruction clearly state this is a “wood cab” and indeed it is, but is not of the more common “box “ or slab sided type but the curved type. The roof has little or no depth and will need to be built up on the side (were the door meets the roof). This has had an effect on the door shape and indeed the profile of the cab itself. While the castings are cleanly molded and the inclusion of the windows a great idea, the accuracy of the cab is ever so slightly off, but not by a large degree and indeed there were minor variations in cab design on this truck in the last years of the war, so in my mind the accuracy issue is open to interpretation.